I mean, the summer is hot and yours truly is reading some chick-lit. Time to catch up on two women only causally familiar - Catherine and Cleopatra. 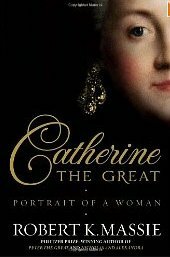 Catherine, who ruled Russia when the British colonies in America were in revolt, has always been an historical shadow for me. Robert K. Massie has produced a detailed and readable biography of she who was called the Great. With Cleopatra, separating myth from evidence is difficult since most of her story went down in defeat. 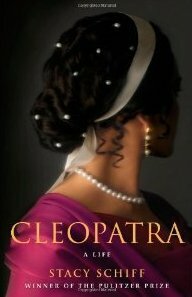 Yet Stacy Schiff presents an exciting biography that, in my opinion, captures the phenomena that was Cleopatra. No floozy and quite likely one of the most educated of people on the planet at the time, she emerges as a dedicated, focused, ruler. Who knew that rascal Herod would figure prominently in her history?